A variety of options are available to deal with workplace conflict. It is worth noting that each of the approaches is suitable in circumstances, and that the ideal is a coordinated and supportive array of interest and rights based options for dealing with all types of problems as early as possible. Interest based options are those that attempt to address the real needs of the parties rather than defining the problem solely in terms of legal rights. Arbitration is a process in which a neutral third party decides the outcome of a dispute after hearing evidence from both sides. The decision may be binding or non-binding. As part of an internal conflict management system, arbitration is often the last step of a grievance procedure. The arbitrator is normally selected from a panel of external neutrals. Essentially a form of higher authority adjudication, arbitration provides certainty and closure on disputes. Where non-binding arbitration is used, a fresh opportunity to negotiate typically presents itself. Arbitration is faster, less expensive, and more informal than the legal system. The parties to the dispute select the arbitrator, and determine the level of legality and formality. Conflict coaching is a dispute resolution technique that unites the fundamentals of coaching and conflict management. The objective of this process is to help employees to develop and improve the way they deal with workplace conflict. Coaching can be used for specific disputes or for conflict in general. It is often employed by an Ombuds and is a key preventative option. Early neutral evaluation is an early intervention into a lawsuit by a court appointed evaluator to help the parties and their counsel determine the strengths and weaknesses of their case through a well-grounded neutral analysis. In some cases, the evaluator may be a content expert who can give an informed opinion on the merits of the case. ENE can be used in employment discrimination cases. A means by which employees are given access to information quickly, easily and where requested anonymously. Often facilitated through a 1-800 number, and/or an ombuds, the facility may provide copies of policies, or clarify policies. In addition to giving information, the facility can receive information. The information may be given anonymously or surfaced in an appropriate manner. This early warning system is easy to implement, and can lead to considerable cost savings. An investigation is a procedure used by employers to determine whether allegations of misconduct or inadequate performance are justified. Normally, found in disciplinary procedures, the investigation should include notice to the alleged offender, a reasonable opportunity to respond, reasonable timeliness, and impartiality by the decision maker. Mediation is a process through which a third party assists the disputants find a mutually acceptable solution. In managerial mediation, the manager uses his or her authority to identify problems and convene meetings at which the employees are assisted to find a mutually acceptable solution themselves. If no resolution is reached, the manager makes a decision for the employees. This informal approach allows disputes to be addressed informally close to the source. It requires tact, and where a decision is imposed, there may be a reluctance to comply. 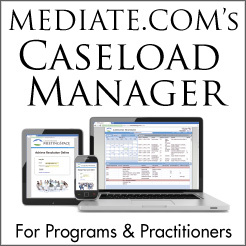 Managers should be trained in managerial mediation. Negotiation is a process in which parties who differ over a particular issue attempt to reach agreement through direct communication. Unlike mediation where a third party assists the parties reach agreement, negotiation does not involve the direct assistance of a third party. Interest-based negotiation requires training, and as an informal communication tool prevents conflict from escalating into disputes. Negotiation allows disputes to be resolved close to the source without involving a third party. Where a power imbalance exists between the disputants, the danger of one-sided solutions is real. Unlike managerial mediation, the neutral internal mediator does not make a decision for the disputants, and does not convene the mediation. Internal mediators are trained and made available to employees as part of a procedure to address identified workplace problems. The benefits of mediation include its speed, low cost, and ability to preserve ongoing working relationships. High satisfaction levels are reported by companies using mediation. Internal mediators are not always perceived as neutral even where they work in a different department to those of the disputants. Internal mediation can work well in large organizations. Instead of the mediation being conducted by an employee, an external mediator is contracted to provide the mediation service. The mediator is not a decision maker, but rather facilitates the communication between the disputants with the hope of helping them make their own decisions. A professional mediator costs more and is less familiar with the organizational polices and culture. However, where the dispute is complex, advanced dispute resolution skills are necessary. External mediators are not always available on short notice. Common in large organizations, government and universities, the ombuds operates an independent and neutral office within the organization to investigate and resolve workplace problems. A point of contact for the filing of complaints in confidence, the ombuds is independent of management, and typically reports directly to the CEO. The Ombudsmen Association provides a code of ethics to guide an organizational ombuds practice. The ombuds provides an early warning system for problems as they emerge. The ombuds is a safe place for employees to take sensitive, confusing and complicated issues, and to explore options to address them. To the extent that many workplace problems stem from poor communication, an ombuds can often facilitate open and constructive communication. Maintaining neutrality while on the company payroll has lead some to question the independence of the ombuds. Employees are allowed to circumvent normal organizational hierarchies to voice complaints and procedures. While many organizations boast of an open door policy to resolve conflict quickly, more often than not they are too informal and unstructured to be effective. The initiative is placed on the employee, not management. There is often a perception that there will be reprisals, despite management's assertions to the contrary. An open door policy may be suitable in a small informal organization. Partnering is a preventative, rather than a remedial process. Although it is typically encountered in the construction industry, it is applicable in a team based work environment where project management principles are used to coordinate separate functions. Partnering brings together the team players responsible for the completion of the separate functions, and seeks to nurture a relationship based on trust, the dedication to common goals, and an understanding of each others individual expectations and values. Partnering is a way of anticipating problems, and preventing disputes. It requires commitment from management, and benefits from an external facilitator. An internal procedure through which an employee can complain or seek review of a management decision by a panel comprised of the organizations employees and management. Panels typically have limited power and authority and the matters they can review are defined. They normally cannot alter existing policy, rules or conditions of employment. Supports of the peer review process argue that better and wiser decisions are made by those who truly understand the organization, its mission and its people. It requires a cadre of specially trained employees. Detractors point to the lack of clout, and its creation, selection, and operation by management.